Vice President Mike Pence will visit Kansas. Pence is scheduled to attend an October 18th campaign event in Wichita for Republican candidate for governor Kris Kobach. Details about the vice president’s visit have not been revealed. 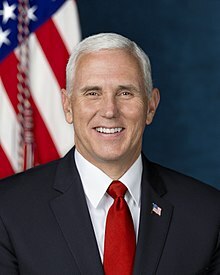 The vice president is also expected to visit Topeka on October 19th to campaign for Second Congressional District Republican candidate Steve Watkins.